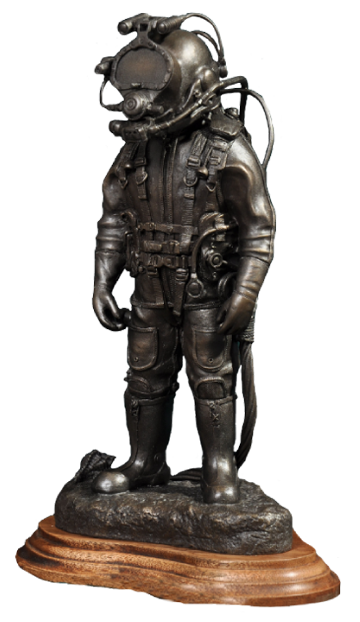 Millennium Bronze was set up by commercial divers, for commercial divers, the diving industry and diving enthusiasts. 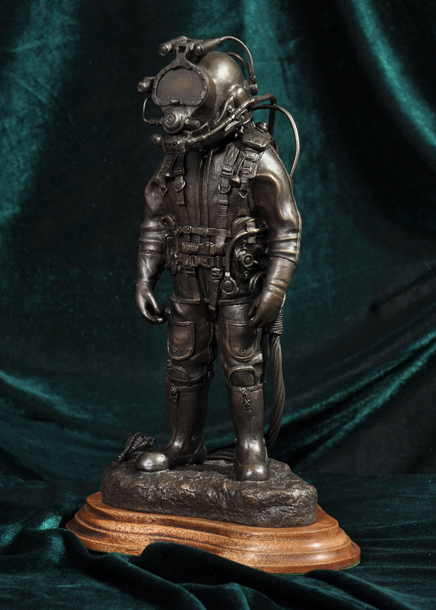 Our familairity with the diving equipment that we sculpt enables us to reproduce our sculptures to exacting standards of detail – we believe if the detail is on the equipment, it should be on the statue, of course artistic licence may influence to a point, but only to enhance a statues’ features or make it possible to mould & cast. Millenniun Bronze uses the logo of the Etruscan helmet as it dates back to about 2000BC. 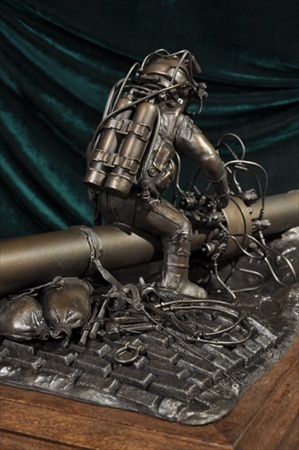 The expedition leader on the wreck where it was found, Mr Reg Vallentine (Historical Diving Society), commissioned one of the founding members to sculpt a copy of the bronze relic. With a bronze helmet – recovered by divers – from around 2000BC to a company making bronze helmets in 2000AD, it seamed an apt logo.